I’ve played A LOT of road hockey in my day and I’ve seen so many different people that play and yet the same people keep showing up almost every single game. Add to this the tournament aspect, the need to stay in the game and…..rules; you have the setting but do you know the players? When you show up to Play On! Kelowna on June 18/19 @ Prospera Place, THIS is what you’ll see. This guy is all kinds of awesome. He’s probably a washed up major junior player, the guy that killed it in school sports and everybody wants him on their team. He’s good, he’s really good. He’s usually the one putting the puck in the net and most teams that have him rely on him to carry them when quite frankly they just don’t have anything left….after the first half. The Ringer passes if you ABSOLUTELY are open and he’s ready for a line change, he’s also the guy that somehow knows everyone from every tournament he’s ever played in. The Ringer is so good though that it really isn’t a big deal overall for him to play in this tournament and he most likely is out partying hard the night before. He’s just that good. I will never be the Ringer but I’ve known plenty of em. Instagram the ringer in your game and tag me. We’ll both laugh and that’s good enough for me. I probably don’t even need to type this one cuz you know him. The Temper is sometimes a hybrid of the Ringer but still he is his own man. He is an intense player, he’s aggressive in the corners and at some point there’s a confrontation. Temper usually has a pretty powerful shot and pushes the envelope on slap shots and going a bit further than just bump and run. The Temper is potentially a big player on your team so when he goes off, you’re hooped. Thankfully, this person can be calmed down and usually learns his lesson. He won’t actually fight someone as he knows it’s still a game but no one would question the possibility of him totally annihilated the guy in his way. There’s always a guy that goats the temper…I hate that guy. I know the temper and he’s a great guy but on the court/ice/road….he’ll own you in the moment. I’m pretty much almost this guy. I love hockey, I mean I live it. The problem is as much as I love hockey, I can play but I am not that good. I’ll have my moments like anyone else but put me out there for 20 minute halves and I’m reaching for breaks after 10….like reaching. Thankfully with line changes I survive a lot longer. This guy wants in 100% and wants to give it his all but he’s a 3rd line player on a 2.5 line team. Maybe I’m being a bit harsh. He wants to win and he’ll hustle but there is no finish there and any goals that DO come his way are forgotten by pretty much everyone but him. He’s thrilled he gets the free tee and energy drinks and just loves to be part of the action. He might write a blog. Our friend here is the one who hits up the pub in between games and might have even played the first game of the tournament hung over. He’s usually a pretty good player but this isn’t the most important thing in his weekend. Somehow, the boozer still manages to out play the lifelong/clearly not that great guy and he still is going to hit up the pub before the 3rd game. There is no drug testing or breathalyzers so the boozer is safe. The funny thing about him is that he can definitely be the goalie and he’ll play out of his freaking mind the whole tournament. What a messed up group of characters we have here. The Striker aka What Is Defense? No one likes to play defense, I’m sure of this. Maybe actual defenseman and really they don’t count here. The Striker is all goals baby! He leads the rush and gives it all on every play; the problem is he doesn’t come back to help. He doesn’t need to be the guy that starts the play because he knows everything flows through him anyways. El Striko gets it done on the offense but odds are he is a heavy minus because the rest of the team is paying for his striking. His legs are always fresh and they always will be. Everyone wants him to come back and usually for about a goal or two he does, but that’s not where he belongs. It’s not his style, it’s not home. Play On! Kelowna is coming fast and there’s time to register your team. If you know who these people are make sure to put it up on instagram and tag me @always90four and hashtag it with what guy he is. Despite the way things have gone since the last time the Blue Jays won the World Series, they’re still my fav MLB team. I may not be the most vocal guy for them and I have given my fair share of criticsm. However, this current roll the Jays have been on has been fueled by the long ball and man do I love the long ball…and so do they! Now, the Jays aren’t new to hitting long bombs away or letting go of that real rocket, far from. In the last 10 years, Toronto has hit plenty of homeruns, the only problem was that usually the guy hitting it was the only one that crossed home plate. So what’s different this go around? Well for starters, everyone on the team likes getting on base. Up and down the lineup there really isn’t a hitter that doesn’t contribute nightly with his share of base running. You can’t pitch around any part of that lineup because they…will…burn…you. Six of those nine players are very dangerous and are all reasons the Blue Jays have decimated pitchers all year long. Its such a long season and the post season takes everything up a notch but the lineup they currently hold gives them a chance to once again do something special for the entire country to cherish. Let’s look at the hits: Toronto is tied for 6th in the MLB with 1159 hits. They make the most of every plate appearance. Of thoses hits, 244 or roughly 20% of their hits go for two bases. You know they all about that base, bout that base no troubles. Toronto also leads the league in extra base hits with 435. If you think about that for just a second, approximately 35% of all their hits are hard enough and far enough to reach at least 2nd base if not further. But what about the back back backs? When it comes to the lasers over the fences, Bautista and friends lead the Majors with 180 dingers. Just over that 15% mark. That doesn’t sound like a huge number but considering over 1 in 10 hits goes over the fence, thats pretty good turnover. "That was a great hit! It went so far!" shouts my three-year old as Encarnacion's home run goes over the fence. Just close your eyes when Josh Donaldson, Edwin Encarnacion or Jose Bautista are at bat; I’d almost guarantee you’ll know a homerun when you hear it. There’s nothing like it. A lot of this came to a head today when Edwin Encarnacion did the most Canadian thing ever when he hit not one, not two but THREE yes THREE homeruns in a 15-1 route of the Tigers. What made it even more special was the fact he hit a 2 run, a 3 run and a Grand Slam for a combined 9 RBI!!! A homerun hat trick? In Toronto? Eddie has a murderous swing this year, as he has in previous seasons and he is making pitchers pay. Does it get any better than this? A berth in the MLB post season or better yet, the Fall Classic would be the cream on this amazing season. The sweet smell of the grass, the crowd on their feet and that crack of the bat; the homerun is every bit entertaining as anything in sports…and more. Twas the night before PlayOn! and all through the house, all my socks, shorts and tees…dirty; all that was left? A blouse. My sticks, they were all taped, my runners laced up; shin guards, maybe, but definitely not a cup. The anticipation was building and hockey was in the air, the puck drops tomorrow and the Redwood Cup would be there. This tournament is going to be a memorable weekend and everyone that has a stick in their hand will have something to talk about on Monday. Even the NHL will have representation in the form of the Longsticks. Curtis Lazar and friends will be most likely laying waste to the Elite division; too bad Alex Burrows is done in the ball hockey world. I will be live tweeting as much as possible this weekend, mostly on Saturday. My team “Best Westerners” will be playing up top on the Delta parking lot. Come say hi. Make sure to tweet your pics to @playkelowna and make this one the #bestweekendever. I plan on having a few pics myself. Good luck to everyone facing off this weekend. Be safe, good sports and above all else: PLAY ON! PlayOn! Kelowna Is 4 on 4 In Your Face Action! 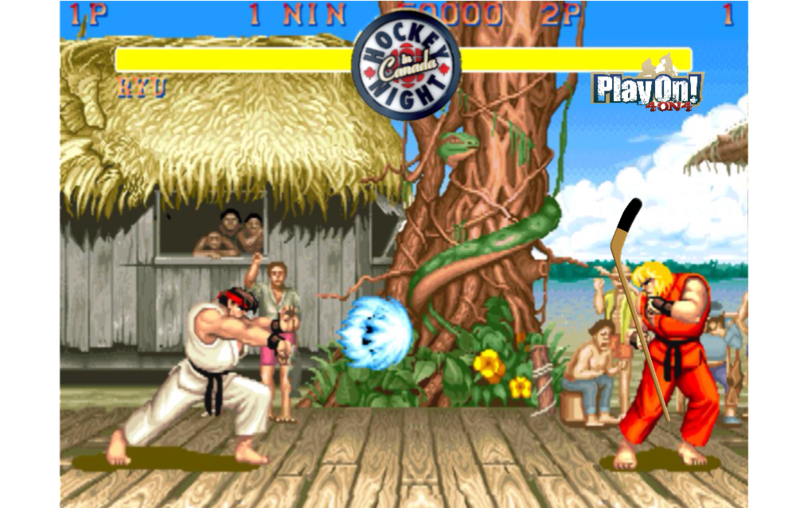 Its Street Fighter meets Hockey…so basically street hockey, but imagine the possibilities. If you still are blown away by the previous sentence, please move on; Street Fighter is not hooking up with hockey. The annual PlayOn! 4 on 4 street hockey tournament is hitting Kelowna this weekend (June 20/21) and the area around Prospera Place will be jam packed with Canada’s ultimate past time. It will be in your face action from the opening faceoff to the presentation of the Redwood Cup on Sunday. Road hockey is played across this great country all year round and CBC’s Hockey Night in Canada has created the ultimate get together to showcase our love for the sport. Starting Saturday morning men, women, boys and girls will be facing off in a 4 on 4 street hockey tournament and a select few will get to play for the Redwood Cup, PlayOn’s official championship trophy…ok actually just the Elite division does but I mean, we can dream right? Teams are divided into several divisions from casual amateurs to the best of the best in the elite division. There is also a Corporate UPS division that companies can enter teams and help raise money for the United Way and get a tax receipt as well. I will be playing on the Best Western corporate team this weekend so watch out! I’m amazingly awesome average. For all the out of towners, and there are a few, Best Western is the official hotel partner of the tournament so you should definitley check them out if you need a place to stay, I suppose if you gave me $2000 for the weekend you could use my place. Don’t tell my wife though, she doesn’t know I offered. How the games work is pretty simple: 3 forwards and 1 goalie….that’s it. Games are 30 minutes long and split into 2 – 15 min halfs, and like the Maple Leafs, I don’t care that it’s spelt wrong. If games end in a tie, the good ol’ shootout starts up. Same NHL rules apply in the shootout, if you can manage a spin o rama on the street, knock yourself out. When goals are scored its the other team’s possession and back and forth you go. We aren’t re-inventing the wheel here folks, it’s hockey. The sun should be shining all weekend so chug that water! 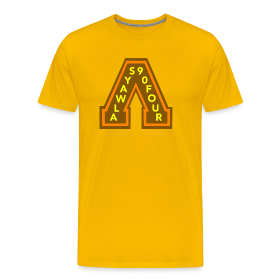 Being that it is summer, there will probably be a few NHLers hanging around and maybe just maybe, YOU could meet one, YA YOU! But this whole thing isn’t just hockey, its hanging with your buds, drinking some wobbly pops and having a great time. PlayOn! has coined the phrase #bestweekendever and having lived here for many years, you can cash that cheque all day long. But lets get back to the wobbly pops for a sec, you have to be 19, I don’t condone underage drinking. Have a Powerade. This weekend is going to rock so hard and best of all it’s hockey in June. So with hours to go to register, SIGN UP HERE and get jacked for two days of some of the best memories you’ll ever have. Of course, if you have a wife, kids or a Lambourghini those are pretty great memories too! But the hockey memories, those will be good. Some people want to play for the Stanley Cup, some want to own their own home, there’s a select few that just want to be able to skate without falling down…I am that one; but this weekend we all want that Redwood Cup and we want it bad. Hockey Night in Canada’s PlayOn! Hockey tournament is about to land in Kelowna and it can’t come soon enough.